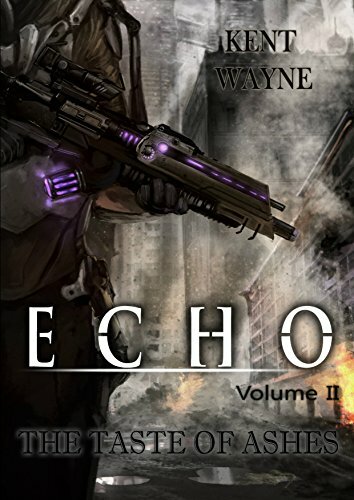 I just finished reading Kent Wayne’s novel Echo Volume 1: Approaching Shatter. I knew it ended on a cliffhanger, but I didn’t realize it would be so abrupt. It was like slamming into a brick wall at sixty miles an hour. I’ve been reading it on my Kindle Fire and the thing said I’d finished something like 86% of the book. When I swiped to turn the page at the end of a chapter, I was confronted with a message stating it was the end of the story and if I liked it, to write an Amazon review. The rest of the book is a preview of Volume 2: The Taste of Ashes. Somewhere in the creation of my blog and writing stories, Kent Wayne took notice of some of the things I’d authored by “liking” them, and so I checked out and eventually followed his blog Dirty Sci-Fi Buddha. 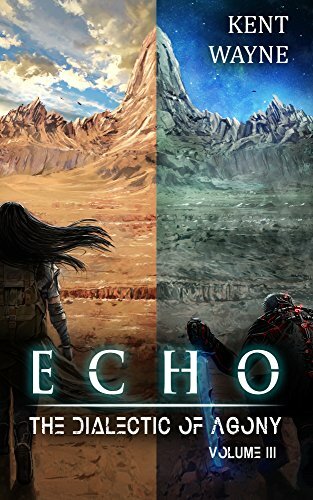 That’s how I became aware of his Echo series. 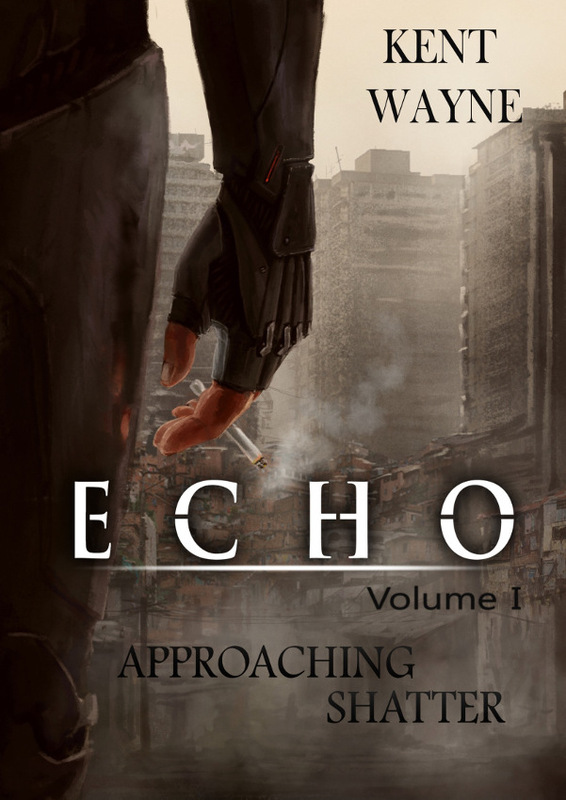 He does go more into his history on his blog’s About page, and Echo: Approaching Shatter definitely gives the impression that Wayne is mining his own professional experience. I had a tough time getting into the novel. It’s not like I’m opposed to military based science fiction. I’ve read and thoroughly enjoyed Joe Haldeman’s The Forever War and Timothy Zahn’s Cobra, but that was decades ago. For about the first half of the book, I kept struggling for a handle or a hook and couldn’t find it. I didn’t know whether to even like the protagonist Atriya (and mentally, I kept pronouncing his name as “Attila”).